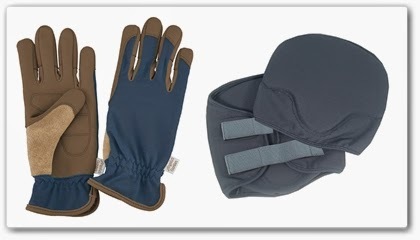 Well, Kara at Angela's Garden has offered a pair of their Performance Gloves in Indigo for me to give away to one lucky reader. Not only that, she's throwing in a set of matching knee pads in Indigo too. That's a total of a $37 value. I've not used the Performance gloves, but I do have a pair of the Classic leather ones that I like. The Performance gloves are a little more flexible, so I think you'll probably like them just as well. You can read more about them on their website and while you're there, check out some of their other products, like their new Primrose Collection (they have both adult and children's sizes so you and your daughter can match!) and I've always kind of lusted after the denim stuff. 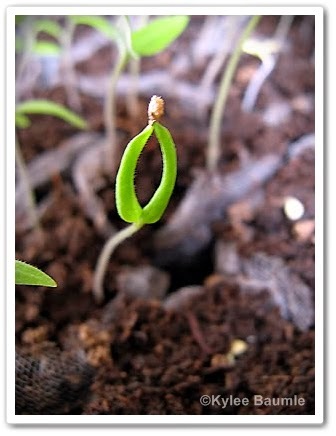 Leave a comment to this blog post, telling me what you're most excited about growing in your garden this year. 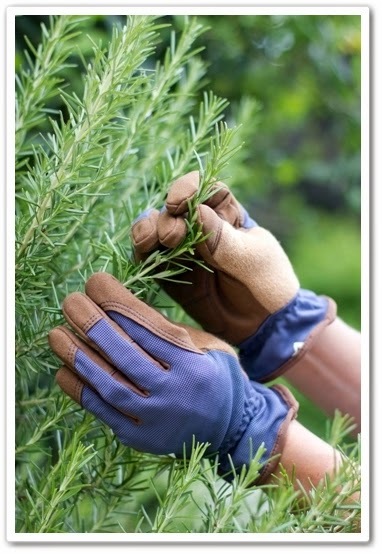 If you don't have a garden of your own and are hoping to win the gloves for someone else who gardens, just tell me who you'd give the gloves to. Fill out the Rafflecopter form so that I'll have a way to contact you if you're the winner. Rafflecopter makes it super easy to choose a random winner, too. You won't be making your information public - I'm the only one who will see it, so no worries there. You can earn extra entries, which you'll see when you fill out the Rafflecopter form. These are optional, but you do have to leave a comment here and fill out your contact info on Rafflecopter to get one entry. UPDATE: We have a winner! Diane M. was the winner randomly chosen by Rafflecopter. Congratulations, Diane! I've emailed you to let you know so that you can send a mailing address for your gloves and knee pads! Thank you to all who entered and to Kara B. for providing the gloves and knee pads to give away. I did not receive any compensation whatsoever for conducting this giveaway, in money or in kind. Those of us who garden are just full of reasons why we do so. 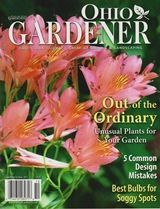 For us, it’s almost a no-brainer and we can’t imagine not gardening. But to those who’ve never done it, some convincing might be in order and I’m here to try and do that, because there are some very compelling reasons to garden. First of all, there are all kinds of gardens: flower, vegetable, orchards, container, indoor, rock, etc. Not all forms of gardening appeal to all people. But I’m betting you can find one of them that suits your personality and that will enrich your life in more ways than you might think. Let’s just look at the mental health aspect of it. Flowers make us smile. And working in the soil actually causes beneficial bacteria to be released into the air that raises the level of serotonin in the brain when you breathe it in. That’s what makes us feel good. Think about that! All that’s required is to stir the dirt around and you’ll feel happy! And if you’re going to do that, you might as well put something in that hole that serves another purpose. 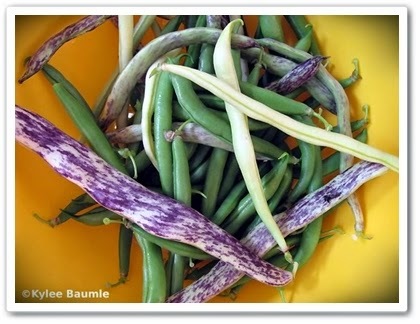 You know there’s nothing that tastes better than fresh food right from the garden. You can grow your own with no pesticides and you can harvest it right when it’s ready and then eat it the same day, within minutes even. No grocery store produce can match freshness like that. You choose the seed. Even if you can buy fresh, when you choose your own seed, you can choose whether or not you want to eat genetically engineered produce (not to be confused with GMO) or food the way nature made it. The jury is still out on what effects GE crops may have on human beings, but when you grow your own, you can avoid that issue altogether. 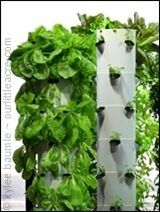 Your selection of what you can eat grows exponentially when you grow your own, because of all the varieties of seeds there are to choose from. Commercial growers grow what transports best and takes the least amount of time from seed to harvest. When was the last time you saw a Charentais melon for sale in the grocery store? 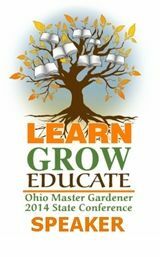 Whether you grow edibles or flowers, gardening is educational and is great exercise. 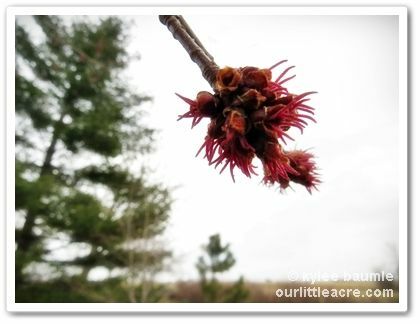 There are a number of lessons to be learned in the garden at all stages of the season. And if you don’t think gardening is good exercise, just talk with a gardener in the spring after they’ve been out of the garden all winter. There is a sense of wonder and an appreciation for miracles big and small that occur in the garden. It isn’t just the plants, the fruits, the flowers; it’s all that goes with it. Birds love gardens and will help with pest control. Butterflies adore them and need them to live. Children grow up knowing where food comes from and may be introduced to a lifelong activity. The sights and smells of a garden are one of the most organic pleasures life has to offer. I know…some of you are saying you don’t have room for a proper garden or you don’t even have a yard. 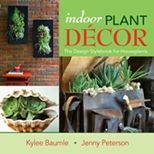 There are plenty of things that can be grown in containers on porches, patios, balconies and windowsills. You don’t need much. If you’ve never grown one thing before, start simple, with one planted pot in a sunny window. You may find that it’s like the proverbial potato chip – you can’t stop with just one. This article by me first appeared in the Paulding Progress newspaper in April 2013 and is republished here by permission. for roots of extending kindness. taken from our holiest books. 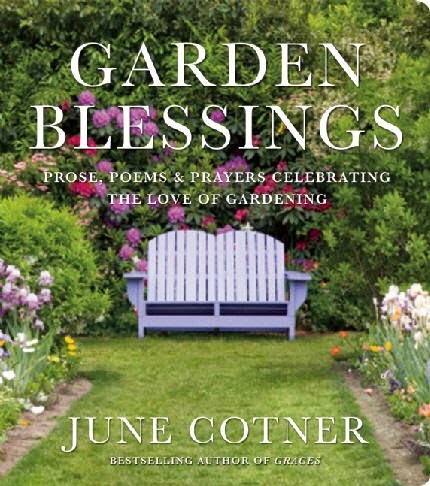 *Excerpted from Garden Blessings: Poems, Prose and Prayers Celebrating the Love of Gardening by June Cotner (Editor), to be released by Viva Editions, May 13, 2014. I received a review copy of this new book from the publisher. A full review will be published at a later date. Okay, I'll admit that's a corny title for a blog post. But it's true. 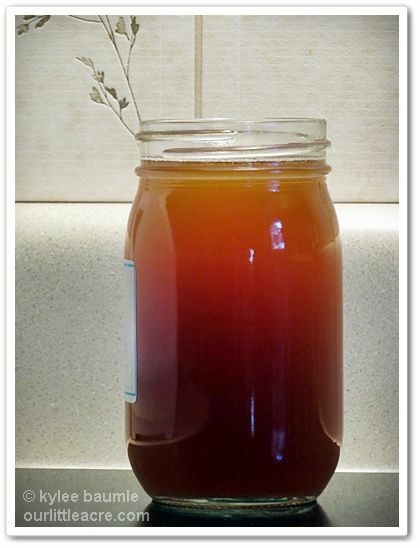 When I was contacted last week about sharing the good news about Bag Balm with my readers, I jumped at the chance. You see, I've been using Bag Balm since my parents and grandparents used it on me for all kinds of things when I was a little girl. Bag Balm has been in our family households for longer than I am old. My grandma will be 100 years old on December 26th and I'm pretty sure she was a young 'un when she first used it too. The tradition continues because our younger daughter had it on her Christmas list just this past year. She grew up with it and knows how well it works. What would a gardener want with a cream that was designed to soothe cow's udders? Don't laugh or poo-poo its use, because there isn't anything any better for cuts, sore skin, and even bruises. That's right - even bruises. This is our opinion, of course. We've used it on ingrown toenails, skinned knees, animal bites, and sprained ankles, just to name a few things. Bag Balm has been around since 1899 and has been made in Lyndonville, Vermont all this time by the same family. (How many businesses can say that?) It's been to the North Pole with Admiral Byrd and was used by rescue workers and their dogs after 9/11. It's included in the care packages to soldiers in Afghanistan and Iraq. And it will always have a place in our medicine drawer. How exactly can it help gardeners? Even the most faithful glove wearers will find their hands showing the effects of hard work. But put some Bag Balm on them, wear some cotton gloves to bed, and the next morning you'll be surprised at how much better they feel and look. You know how sore a finger can get when it gets pricked by rose thorns? (Especially if the tip breaks off. Ouch!) Bag Balm takes that hurt away overnight. My husband has trouble with his fingertips cracking in the winter and Bag Balm helps that too. Bag Balm is a little thicker consistency than plain petroleum jelly and it's got a golden color to it. Its active ingredients are 8-hydroxyquinoline sulfate 0.3% (antiseptic) in a petroleum jelly USP and lanolin base. 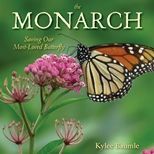 According to Wikipedia, "The roots of the invasive plant Centaurea diffusa [Diffuse Knapweed] release 8-hydroxyquinoline, which has a negative effect on plants that have not co-evolved with it." (Another reference to this is here.) It has a very distinctive aroma. That's the one thing I don't like, but it works so well, I'm willing to overlook it. I just thought you'd like to know about it. You can buy Bag Balm online at Amazon.com or at drugstores, supermarkets, hardware stores, pet stores, feed stores, and farm stores. *As I said, the company contacted me to see if I'd like to share information about their product. They also sent me a complimentary 1-oz. 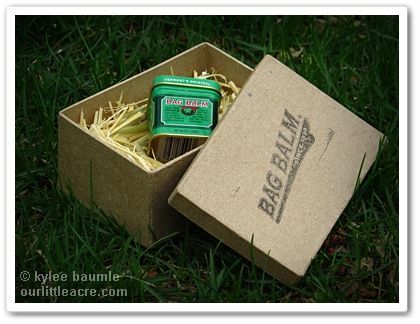 tin of Bag Balm, at my request, after I'd already agreed to write about their product. All opinions stated here are my own. 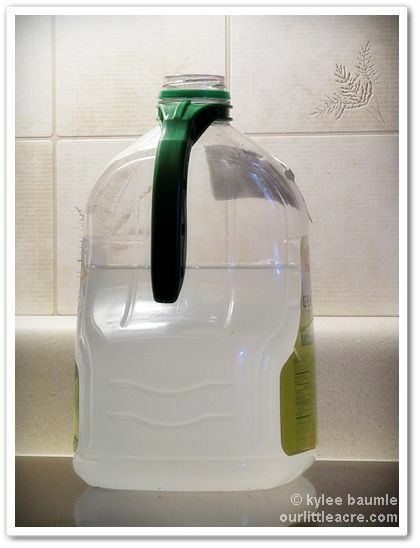 This blog post contains an Amazon affiliate link. If you purchase Bag Balm (or any other product that Amazon sells) through that link, I may receive a small portion of the sale, but it doesn't cost the buyer a thing. Thank you, if you choose to use the link. When I took Master Gardener classes a few years ago, we looked at soil maps that plotted the soil type in our county. What I found fascinating is how accurate it was. Romie and I had remarked once how you could dig a hole to plant a tree in one part of the yard and just 20 feet away, the soil was entirely different. One was heavy, mucky clay, and the other was noticeably less sticky. 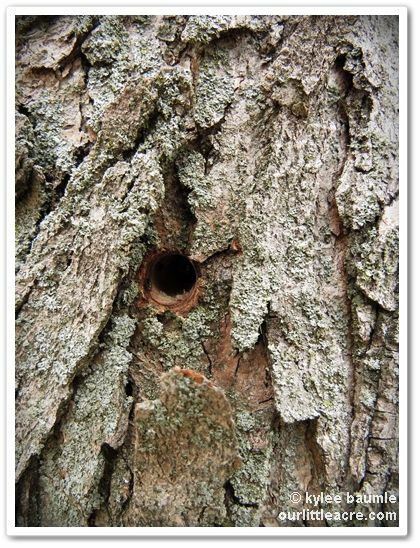 If you have clay soil, you'll recognize this! A friend of mine shared a website earlier today on Facebook that looked intriguing, so I thought I'd share it with you. Kelly posted a link to FarmLogs, a website intended to be an aid to farmers, but we're farmers, right? We grow food and other things that need soil. When you enter your address, you'll see a satellite photo of your property. Then you draw a line around the boundary of that property. 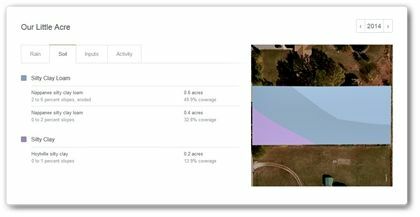 The site then shows you a "map" of the specific soil type for that land. There's other helpful information given too, such as rainfall amounts for the last 24 hours, the last week, and the year-to-date. 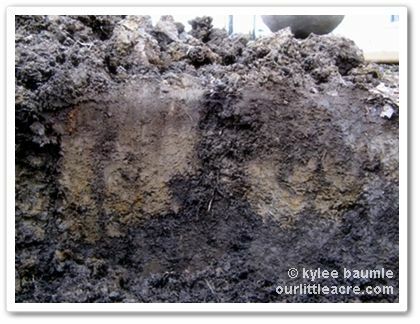 Nappanee Silty Clay Loam - The Nappanee series consists of very deep, somewhat poorly drained soils that are moderately deep or deep to dense till. They formed in clayey till on wave-worked till plains, till-floored lake plains, till plains, and moraines. Hoytville Silty Clay - The Hoytville series consists of very deep, very poorly drained soils that are deep or very deep to dense till. They formed in till that has been leveled by wave action and are on lake plains. Yes, that's right - clay soil that doesn't drain very well. I didn't need a soil map to tell me that, but it's still interesting all the same! 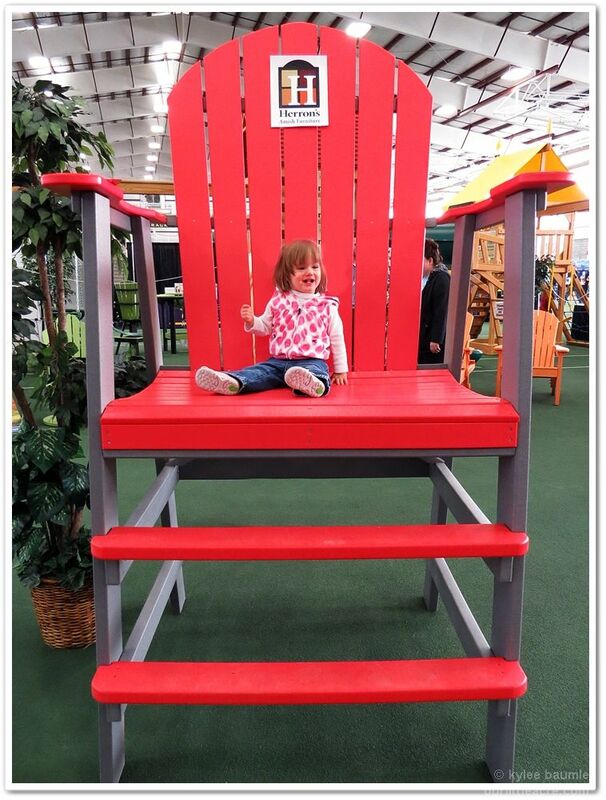 When many home and garden shows are falling by the wayside, Defiance, Ohio, stepped out with one of their own with the Home & Garden Spring Show, in its debut year. 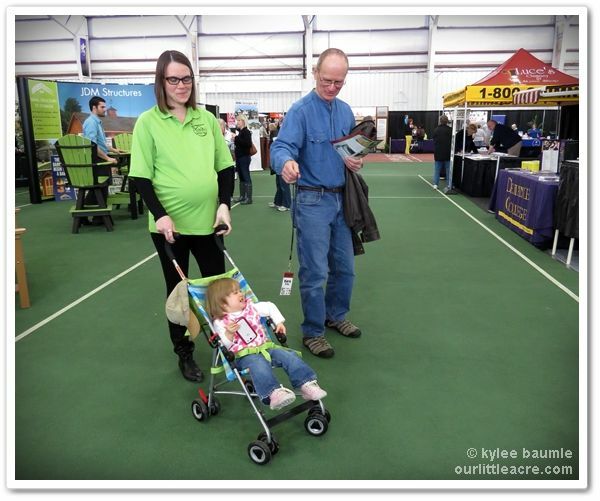 Held in March at the Defiance College Athletic Center, more than 100 vendors opened the spring season with plenty of ideas for homeowners. My husband and I, with granddaughter Hannah in tow, spent some time at the show on a sunny Saturday. Expecting daughter, Kara, joined us and gave us a personal tour of the show, as she works for Clear Channel Media+ Entertainment, presenters of the show in conjunction with ProMedica Defiance Regional Hospital and Mercy Hospital. As soon as we entered the show, we felt that air of optimism, as many spring shows exude after a long, cold winter. We're all just ready to emerge from hibernation and DO SOMETHING! 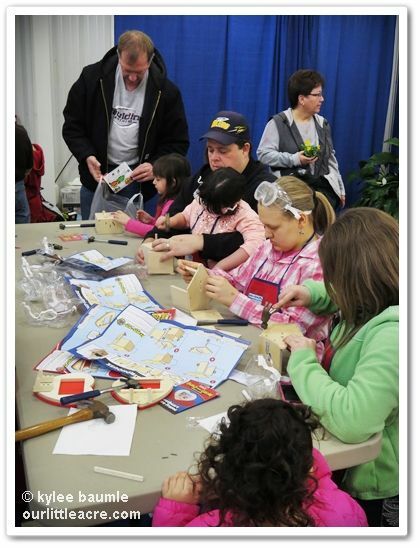 Lowe's Home Improvement was sponsoring a free workshop where kids and parents could build a birdhouse or an airplane with materials and tools Lowe's provided. Hannah was a bit too young for that activity, but lots of kids were taking part in it and seemed to be having a lot of fun. 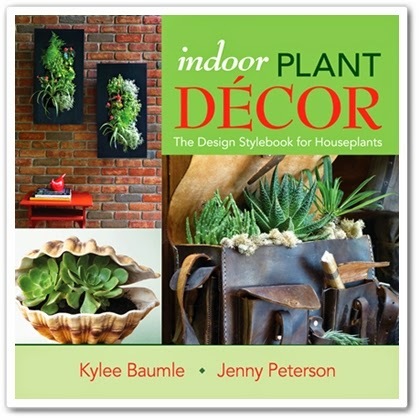 There was also a planner there from Lowe's that we talked with about remodeling our kitchen - something we've been wanting to do for several years. They'll come to our house, assess the situation, draw up a plan, and give us an estimate. 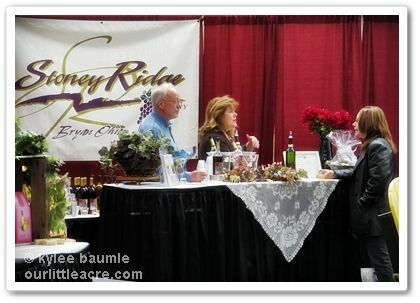 Area wineries were there with tasting opportunities, including Stoney Ridge, Hillside, and Knotty Vines. We didn't partake, but I've personally had wine from Stoney Ridge and can testify to its goodness. Next to the Wine Garden, the local Chief Supermarket had an assortment of cheeses and hard sausage to go with the wine. Various other businesses of interest to present and future homeowners had booths and we saw things that we didn't know we had an interest in until we came across them, such as Quality Coatings, LLC. The winter took a terrible toll on our already aging driveway and we took their business card for future reference. 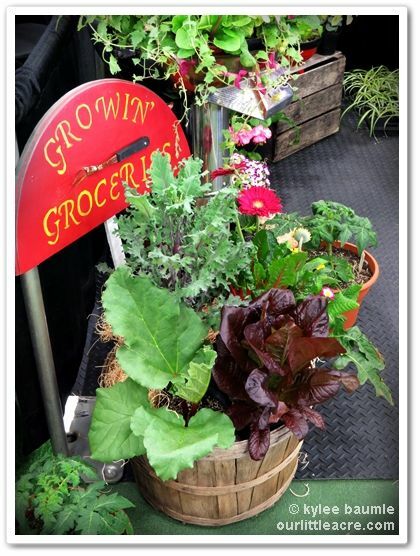 Kircher's grocery garden begs for a fork! 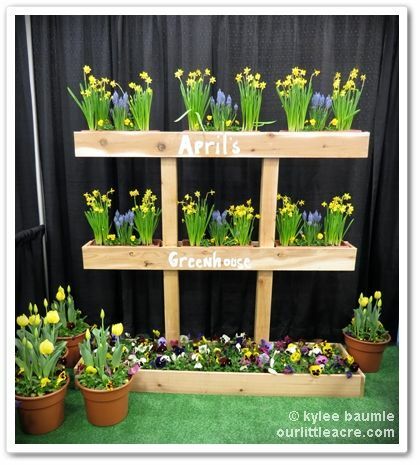 I was lamenting the lack of "garden" at this show, but it seems to be a trend in home and garden shows these days. Only two garden centers were in attendance: Kircher's Flowers Garden Center from Defiance and April's Greenhouse from Bryan. 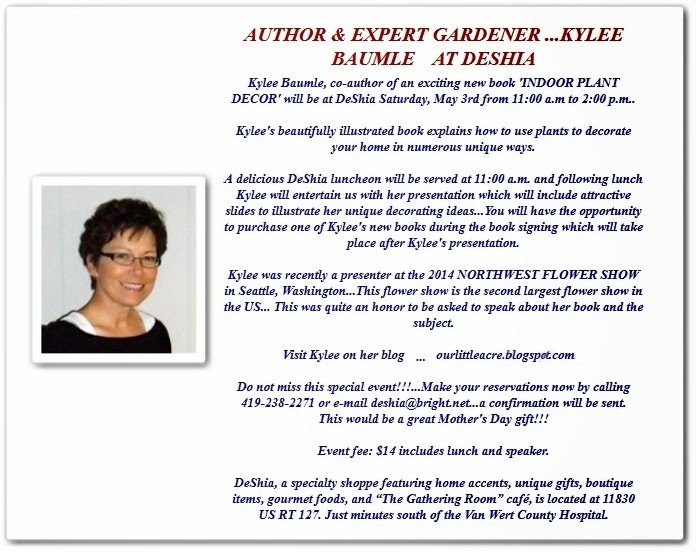 Kircher's was offering a giveaway and had coupons for future use at the garden center. April's was giving away small containers of yellow violas, which were very popular, judging by the number of people I saw walking around with them. I was told that other garden centers were contacted but were hesitant to participate and wanted to see how the show went, being the first year. But I wish they'd come, because the show would have been all the better had they been there! Next year! Please! 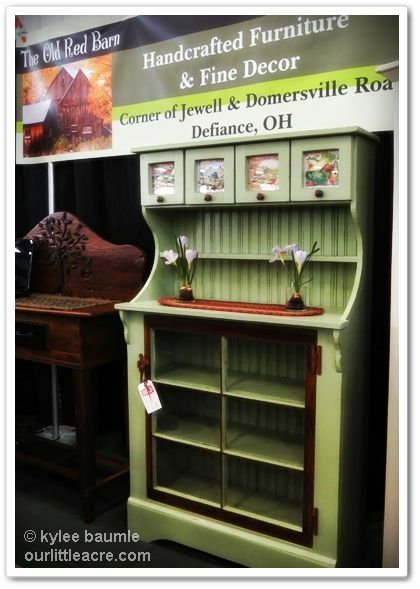 The Old Red Barn had a display of repurposed and refinished antique furniture on display.